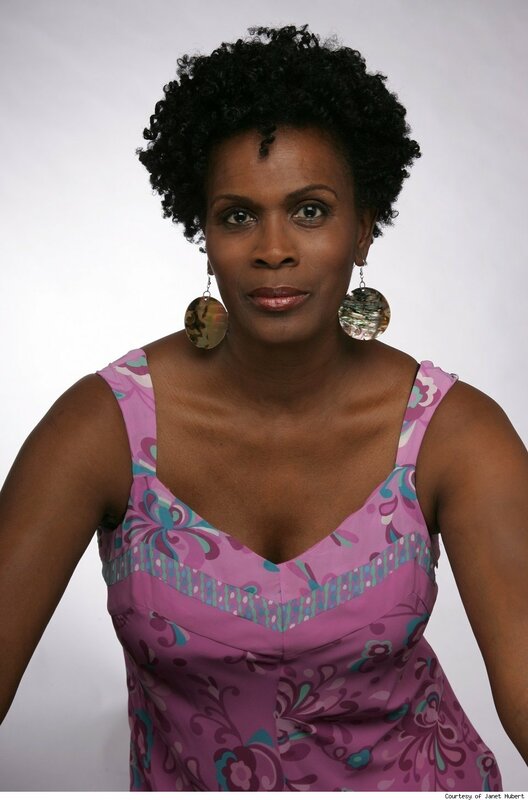 In her alternately plaintive and scathing memoir, actress Janet Hubert, known as Vivian Banks on the popular 90's sitcom 'Fresh Prince of Bel Air,' strikes back at former colleagues whom she says denigrated her name and hurt her career. Black Voices: What motivated you to write your memoir? Janet Hubert: I decided to publish my memoir because I saw this YouTube rant that Alfonso Ribeiro [Carlton] had done about me. He said I was crazy and that I was fired and that I was out of my mind. No one ever defends black women, so I had to do it myself. I wrote it for clarity, to clear my clear my name. I got tired of answering questions about why I left. I answer every single question. In the book, I also talk about how words can kill. You don't take someone's life and just step on it, and you don't take my family's name and destroy it. BV: What are the most surprising things readers will learn? BV: What have you been up to? JH: I live on the East Coast. I love the East Coast because there is energy, something else other than entertainment. On the West Coast, everyone is waiting to be discovered. I've been here now for 11 years. My son Elijah is 16. He'll be in college next year. I've created a children's book series called 'JG & the BC Kids.' It's about a little boy who solves a complicated mathematical equation that opens his imagination and out comes a teacher who takes him and his friends on an adventure. BV: What's next on the horizon? I really didn't read where she supposedly "ripped" Will Smith, but doesn't she think that writing about something that happened almost 20 years ago is a bit beyond the stature of limitations? I mean who really cares about why she was either let go, fired, or quit the show? It's been in syndication for years now, get over it and do something else. I've heard her in radio interviews where she has discussed this book and how she was treated on FP. She needs 2 sit down and do a commercial or 2 like "Aunt Vie"(Will's mom on the show) did. I've heard her get a bad rap from Will and Alfonso. It could be foxhole bonding on their part. I don't always believe where there's smoke, there's fire. They were kids; she was the adult. Already, the stories from Smith & Co are taken with a grain of salt. Let's tell the truth. She was fired because she is [Snip - luv4u]. I've heard that too. However, she's claiming that she can't get a job in Hollywood because Will has blackballed her. I just don't buy that. Hell, she could be doing a Pine Sol commercial or a AmeriTrade commercial to make money. Sure, she may be an award winning actress, but awards don't pay the bills. I heard Yvette Brown say on Wendy Williams how much money commercials pay. She finally got a show, but she was stating that commercials bought her house in LA and she's not too proud to be a commercial actress. I don't believe that either. Will Smith doesn't have that kind of clout, despite the success of his movies. I love that dress she is wearing. I want it! Believe it or not, Will is like one of the most powerful people in "black" hollywood. what did big willy say about her? U know she must be hard to work with. Tyler Perry hasn't hired her for anything. Look up her getting fired. You might be surprised at what you find. How recent is this interview cuz we had a thread about this about a year ago? I think u're right. She was on Tom Joyner's show last year discussing this. Tom interviewed her in June of last year. Warning: It is going to be hard, even painful, for many people to fathom that Will Smith - an actor who has achieved the greatest level of fame, admiration and success imaginable - may have, at one time in his evolution, been a complete a-hole. Now, nearly two decades since NBC’s "Fresh Prince of Bel Air" took the then 22-year-old rapper from his radio-friendly songs long enough to start his walk on the road to stardom, former “Fresh Prince of Bel Air” cast member Janet Hubert-Whitten, who originally played Vivian Banks - the first "Aunt Viv" - has broken her silence and authored the book, "Perfection Is Not a Sitcom Mom." In an emotional exclusive interview with EUR’s Lee Bailey, Hubert (no longer Whitten) sounds more hurt than bitter as she paints a disturbing and unrecognizable picture of the superstar, and although she admits she doesn’t know him now, she speaks candidly about the man she knew then. Without so much as a stutter, Hubert, who at times seems to be near tears, uses the one-hour and eight-minutes telephone interview to reveal vivid details of her claims against Smith, which include verbal and mental abuse on the set, hypocrisy, excessive egoism, blatant resentment, the insensitive spewing of "your mama’s so black" jokes, and ultimately, public slander – which Hubert says kept her from getting projects green-lighted and has banned her from work in the field she used to love. The interview Hubert refers to was one of the first, she claims, Smith gave following her removal from the show. With the show still in reruns, fans are constantly reminded of the abrupt departure of Hubert’s Aunt Viv – and those who watched the show when it originally aired were arguably confused behind the networks’ decision to remain mute and just slip Daphne Maxwell-Reid into the role one day. Fine actor that she is, the difference between her "Aunt Viv" and Hubert’s was not a subtle one. But the decision to gloss over the cast change was, according to Hubert, Smith’s handy work: "‘We’re going to just act like nothing happened,’" she says, mimicking him. Now, with her new book, due out in 2010, he may have to eat those words. As is the usual case with re-negotiations, there is a back-and-forth dance between the network and the talent. Hubert made it known to NBC that she would be unable to make a living with the offer they placed on the table, so she declined, expecting them to return with something better in their negotiations. They never came back. When Hubert's agent called casting, he learned that her role was being recast. Lewis was dropped from the hit ABC comedy "Hangin’ with Mr. Cooper" in 1993 when the producers decided to change the direction of the show. She took the action in stride and, in an interview with JET magazine that same year, said she had no bitterness about the decision and was going on to pursue other projects she had missed out on by doing a weekly television show. Today Lewis, a great talent continues to delight audiences in live productions all over the world. Hubert says that she believes it was Langford who went back to Smith and started what she refers to as "the firestorm." And it is the self-reflection of what she calls "her sitcom mom death," as well as the reality that [working] black actresses in Hollywood have disappeared, that motivated her to write her book. Already a professional in the business for more than a decade before "The Fresh Prince of Bel Air" came her way in 1990, Hubert had won a scholarship to the famed Julliard School in NYC, but ended up attending for only a year. She had appeared in daytime television and worked extensively in theatre, at one time as an understudy to one of the lead characters in the musical "Cats," and was an Alvin Ailey dancer. It has been rumored that she was jealous of Smith for landing such a sweet deal without any previous acting experience.